Dimensions 1 by 6.25 by 9.25 in. 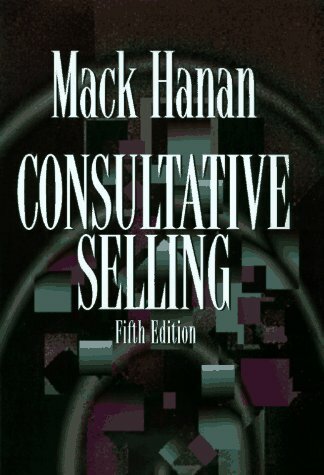 Amazon.com description: Product Description: Written by the author of "Consultative Budgeting" and "Key Account Selling", this book explains to the salesperson that: you are no longer a vendor, out to sell a customer its product; you are a consultant, out to help your client's business grow. This revised edition: supplies updated case histories; a new and improved emphasis on how to sell - technology and technology-based products or services, services and service-based businesses, outsourced services and contracted-out projects, and business and process re-engineering systems; and explains in more detail than ever before how to - use project management skills, win the competitions against other consultative sellers, meet customer productivity and quality requirements, meet customer requirements for cost control and predictable cash flow and set up solid business partnerships that exclude competitors. About: Written by the author of "Consultative Budgeting" and "Key Account Selling", this book explains to the salesperson that: you are no longer a vendor, out to sell a customer its product; you are a consultant, out to help your client's business grow.